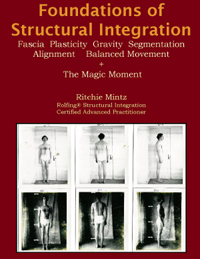 Ritchie Mintz is a Certified Advanced Practitioner of Rolfing Structural Integration. Trained at the Rolf Institute and expert in the field of human physical structure, he has 30 years experience straightening human frames and aligning bodies with gravity. Ritchie is the Founder and Director of the Texas School for Structural Integration, the first and only school in Texas teaching the Ida P. Rolf Method of Structural Integration. This school also teaches Balanced~Movement, a rare form of ancient wisdom about human movement and its relationship to structural alignment and balance. Ritchie Mintz is a veteran Bodywork professional and an experienced educator. He brings humor and cheer to his unique and powerful work.